The hosts of the 2026 World Cup will be decided in May 2020, three years later than originally scheduled. The decision had been due to take place in Kuala Lumpur in May 2017, but has been delayed amid allegations of corruption surrounding the awarding of the 2018 and 2022 tournaments to Russia and Qatar. Fifa has also introduced a four-phase approach for the bidding process. USA, Canada, Mexico, Colombia and England could bid to host in 2026. 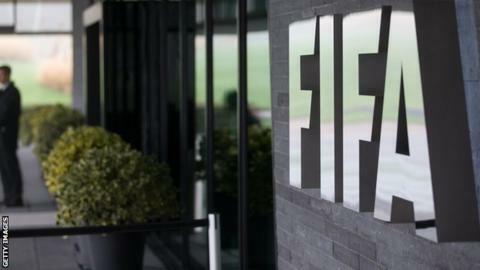 Fifa will decide in October which confederations can put bids forward, with the current rules only excluding the Asian Football Confederation because Qatar will have hosted the previous World Cup. A decision on whether to leave the tournament at 32 teams will also be made in October. The vote in May 2020. The consultation phase will look at four main areas: human rights and environmental protection, the ability to exclude bids that do not meet technical requirements, a review of stance on joint bids and whether to increase the World Cup to 40 teams. The bidding process was the main announcement from the first two-day meeting of the new Fifa council - the successor body to the executive commitee - in Mexico City. 2026 World Cup: Will England bid? Read more on 2026 World Cup: Will England bid for the finals?